You are here: Home / Reaseheath News / Marine mammal emergency averted! Fortunately the emergency wasn’t for real, but a simulated situation to enable 40 Animal Science undergraduates and Access to HE students to gain an internationally recognised qualification in wildlife rescue. 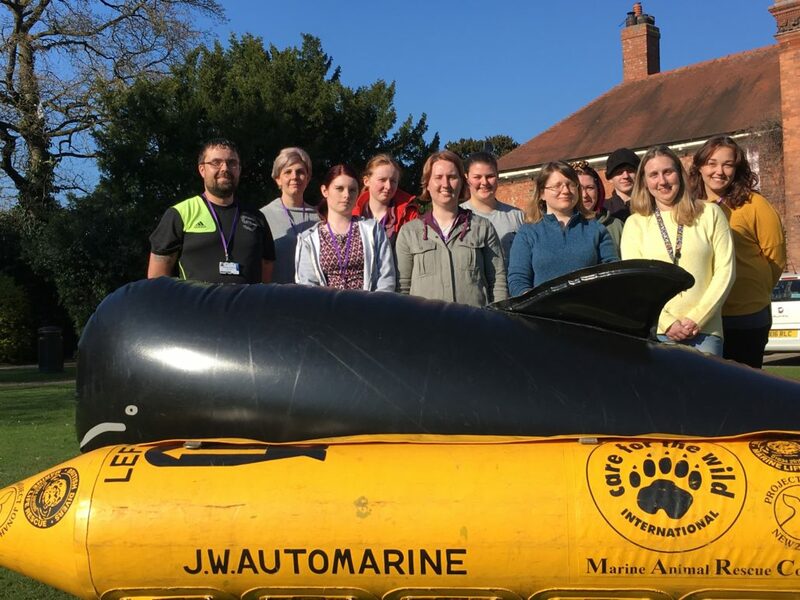 After the one day course, which included a theory session and an afternoon of practical instruction using inflatable life sized models, all group members achieved their British Divers Marine Life Rescue ‘Marine Mammal Medic’ certificate. This well recognised award is offered annually to undergraduates at University Centre Reaseheath and qualifies them to help in day-to-day marine wildlife emergencies via a national register. It is a fantastic addition to their CVs and some have been actively involved in the rescue of marine species. Benjamin Johnston, a BSc Wildlife Conservation and Ecology undergraduate, was among those to complete the training. He said: “I’ve really enjoyed this course.